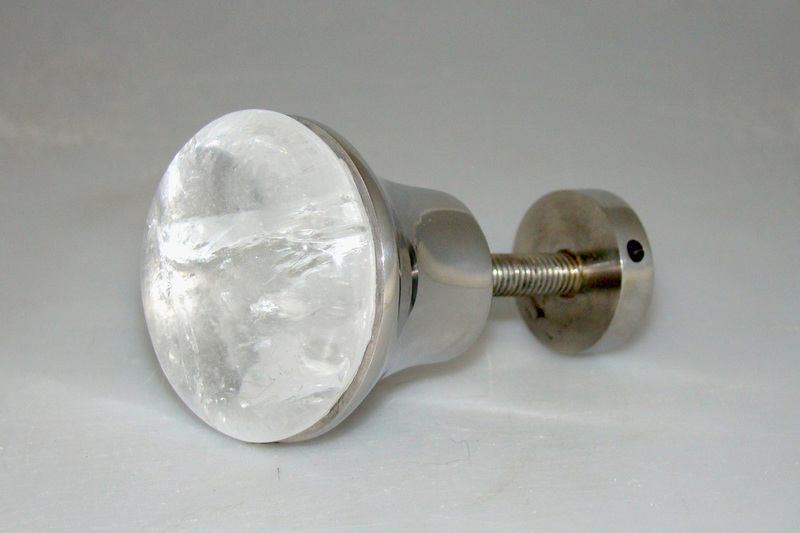 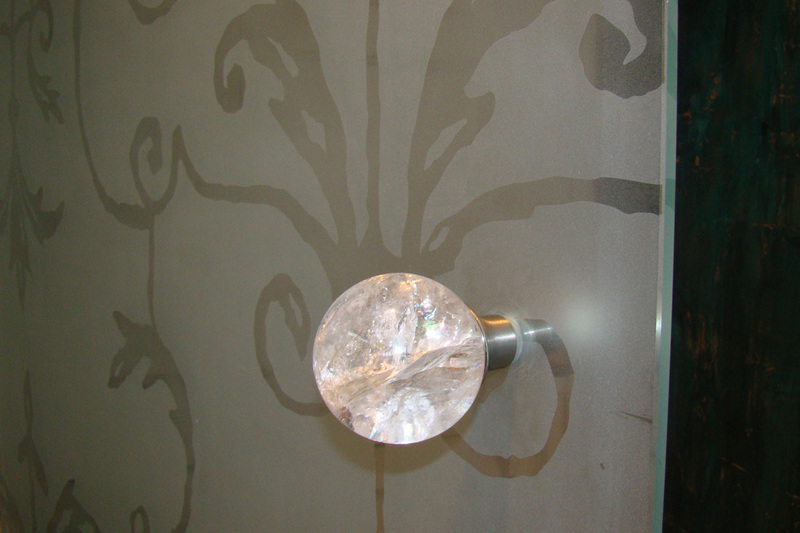 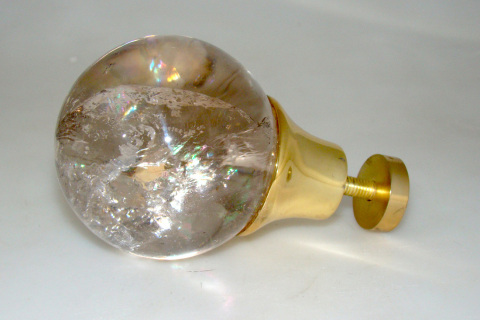 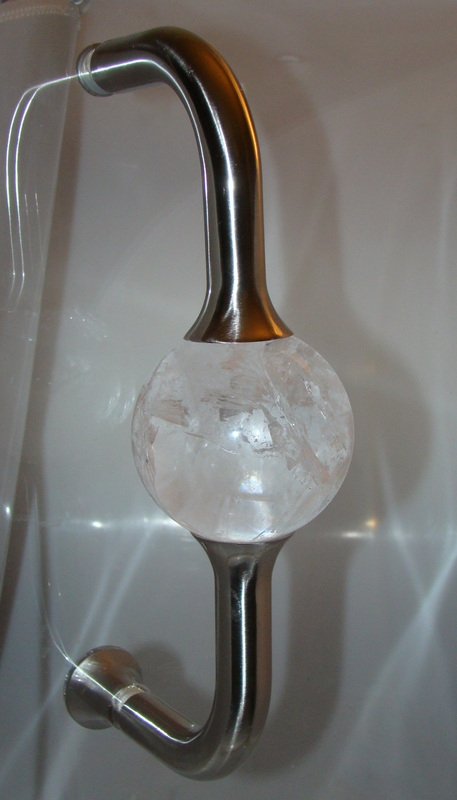 Crystal Quartz with metal backing.Use on shower or pantry doors. 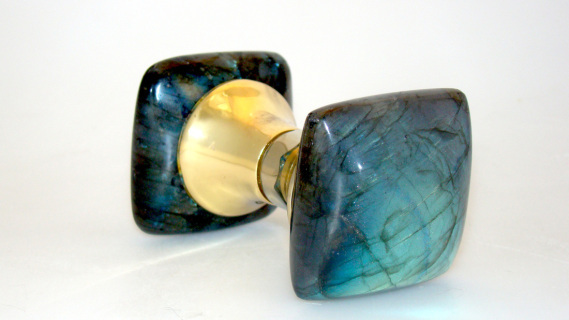 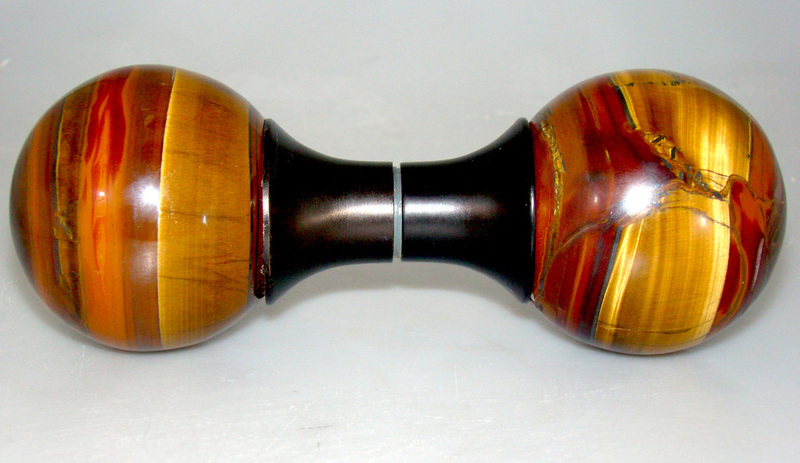 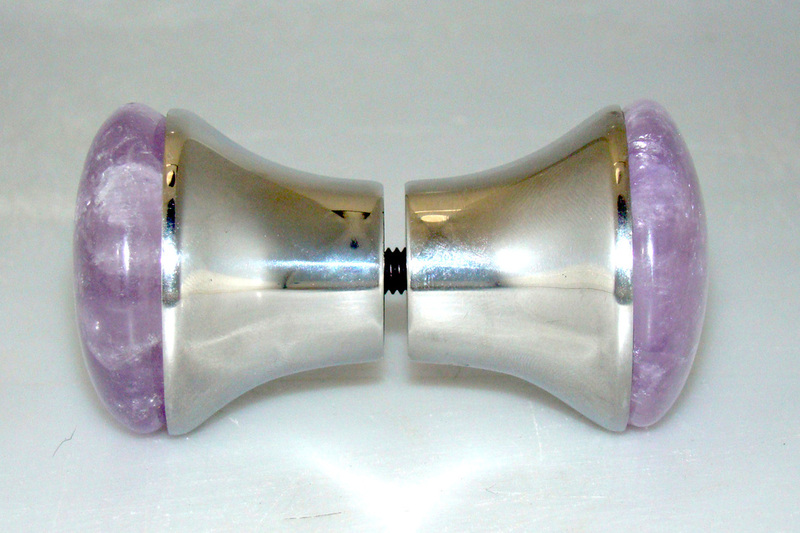 2 3/8" Pull knobs for shower or wood doors. 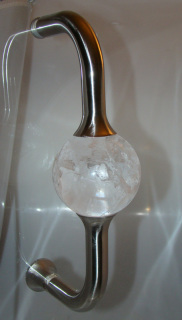 shown on a square or rotate to a diamond shape.